Kubota Tractor Corporation unveiled today its new SVL65-2 to the company’s popular compact track loader line, further diversifying its construction equipment offerings. 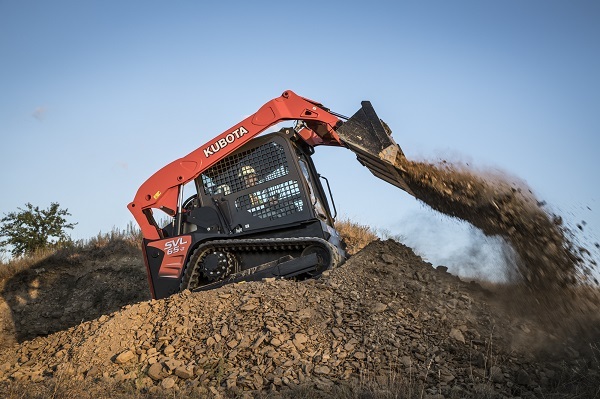 The new compact track loader is positioned in a lighter ROC weight class than its predecessors and features an advanced hydraulic multi-function valve, the line’s signature slide-up overhead front door, and on/off self-leveling capability. The introduction rounds out Kubota’s SVL line that includes the larger SVL75-2 and the SVL95-2s models. The new unit will be available at authorized Kubota dealers beginning April 2019.